Twelve companies recently received recognition for their work on projects in the past year as the Building Industry Association of Clark County gave out its building excellence awards last week. The awards are for projects completed by member companies of the BIA between July 2016 and June 2017, a release from the organization stated. Entries for the awards were judged “on quality craftsmanship, unique design features, company safety record, usage of BIA subcontractors and suppliers and completion of project on time and on budget,” the release stated. The famed Silver Tsunami that’s sweeping the nation appears to be headed right here. Vancouver has been named the nation’s sixth-best city in which to retire by Livability.com. That’s a research-and-marketing firm that generates ratings for small-to-mid-sized American cities after evaluating everything from walkability to crime rates to climate to the cost of living. Vancouver has been celebrated by Livability.com before. In 2013 we squeaked into the overall list of top 100 places to live, ranking 96th; we’ve also placed tenth for “staycations” thanks to our great scenery and historic sites; and, our downtown library was named the No. 2 library for children. Now, Livability has ranked us No. 6 on its 2017 list of best places to retire. We got props for “an educated population, a progressive arts-and-culture scene, and a wide array of outdoor recreational opportunities.” We also got a thumbs-up for “sharing Portland’s perpetually cool weather,” although opinions vary about the desirability of that. In fact, the word “Portland” appears three times in Livability’s press release about Vancouver. We certainly do share the climate and some of the cool culture — in related news, Portland was just named fifth-coolest city in American by Forbes — but Livability also claims that the population of Portland “tilts heavily toward younger residents” while nearly 15 percent of Vancouver’s population is age 65 or older. The truth is, there’s little spread there. According to the latest census figures, 13.6 percent of Vancouver’s population and 11.2 percent of Portland’s population is 65 or older; and, a whopping 23 percent of Vancouver’s population is 18 or younger, while in Portland it’s just 18 percent.But hey, who’s quibbling? While our housing costs are high, Livability says, it’s still more affordable to live up here than down there. And, of course, we’ve got no state income tax. What we do have, Livability says, is: natural beauty and a passionate sense of responsibility for it, resulting in lots of green volunteerism; a revitalized and growing downtown, complete with a designated arts district that has managed to steal away “some of the artist and music community that used to call Portland home”; a historic, independent movie palace, the Kiggins Theatre; and, vital senior-citizen services and opportunities through the city’s Fifty and Better program and its Luepke Senior Center. Livability even notes that the annual Clark County Fair, named one of the nation’s Ten Best Summer Fairs, is just a hop up the freeway from Vancouver. Thanks to Ridgefield for the assist. All of which underscores just how “diverse and dynamic” today’s retirees are, Livability managing editor Winona Dimeo-Ediger said. “Retirement looks very different in 2017 than it has in the past,” she said. Just ask Susan Sanders, who grew up in Vancouver, went away for decades to pursue a career in social work administration, and then retired back here– to west Vancouver — in 2008. 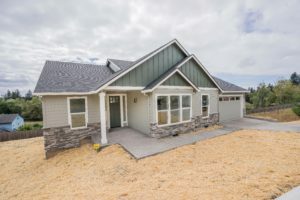 Copper Creek Custom Homes has recently completed several ADA homes featuring: wider doors, no step entry and no step showers along with many other custom features to assist with home buyers retiring to this area. 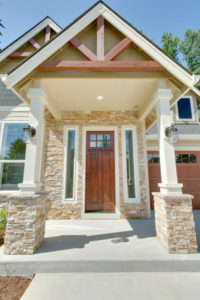 Copper Creek Homes continues to exceed clients expectations and builds all over Clark County.